“It is time all companies begin to train in adding sustainability planning to their daily practices. These trainings will teach employees how to do in house energy plans, to become more energy efficiency, understand waste management, and to be accountable to stakeholders. Train on the ROI this offers not only in saving money but in human capital. 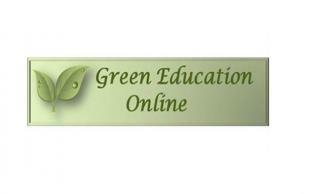 If we do not begin to add the take away of online education on sustainability throughout the ENTIRE employee pools, from a departmental standpoint, no one will know where to begin. We ask employees to learn about sexual harassment in the workplace, why not add topics like learning to become more energy efficiency, understand waste management, water conservation, recycling and other topics many have interest in but few resources for an effective on line learning platform. Management need to train on the ROI this offers not only in $$’s but in human capital as well. They need to know the reasoning behind HOW to do carbon accounting, design sustainability plans, manage waste and what an energy plan is in order to design one and to be held accountable for these programs. Social Responsibility Bundle. This series focuses on creating awareness and advancing knowledge on issues regarding resource management, ethics and social responsibility. This training introduces a broad range of social responsibility factors that are tied to sustainability and environmental concerns. Environmental issues are tied to the organizational culture and managing risk through an authentic approach to developing and implementing sustainability across all departments, suppliers, and subcontractors. Managing Your Waste Bundle. Identify strategic measures for creating or enhancing a comprehensive waste management plan to include understanding waste streams, measuring current/baseline waste generation, identifying resources, and guidance in adopting an integrated waste management program including training/educating employees. Sustainability Planning Bundle. Provide detailed guidelines to address, develop, and then implement a sustainability plan. While each sustainability plan is developed within the context of the organization’s culture, there are specific steps that will make the plan more effective and successful. This training series presents the process and framework for developing a sustainability plan based upon an analysis of an organization’s needs, priorities, and resources. Methods for identifying the appropriate metrics and monitoring systems for a sustainability plan are also outlined.